Item Reviewed: Máu Trái Tim - Lm Nguyễn Sang 9 out of 10 based on 10 ratings. 9 user reviews. 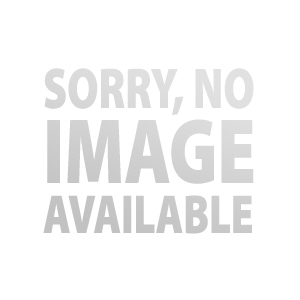 Item Reviewed: Chén Đắng - Lm Nguyễn Sang 9 out of 10 based on 10 ratings. 9 user reviews. Item Reviewed: Phó Thác - Lm Nguyễn Sang 9 out of 10 based on 10 ratings. 9 user reviews. Item Reviewed: Đêm Noel - Lm Nguyễn Sang 9 out of 10 based on 10 ratings. 9 user reviews. Item Reviewed: CHA ƠI CON ĐÃ VỀ - NGƯỜI CON HOANG ĐÀNG 9 out of 10 based on 10 ratings. 9 user reviews. Item Reviewed: LỄ DÂNG TRÔNG CẬY - LM NGUYỄN SANG 9 out of 10 based on 10 ratings. 9 user reviews. Item Reviewed: DÒNG ĐỜI - LM NGUYỄN SANG 9 out of 10 based on 10 ratings. 9 user reviews. Item Reviewed: CHO CON BIẾT YÊU THƯƠNG - LM NGUYỄN SANG 9 out of 10 based on 10 ratings. 9 user reviews. Item Reviewed: TẤU LẠY BÀ - LM NGUYỄN SANG 9 out of 10 based on 10 ratings. 9 user reviews. Item Reviewed: BỎ NGÀI CON BIẾT THEO AI - LM NGUYỄN SANG 9 out of 10 based on 10 ratings. 9 user reviews. Item Reviewed: SỰ SỐNG THAY ĐỔI MÀ KHÔNG MẤT ĐI-LM NGUYỄN SANG 9 out of 10 based on 10 ratings. 9 user reviews. Item Reviewed: MẸ LÀ BÓNG MÁT - LM NGUYỄN SANG 9 out of 10 based on 10 ratings. 9 user reviews. Item Reviewed: CHÚA LÀ CON ĐƯỜNG - LM NGUYỄN SANG 9 out of 10 based on 10 ratings. 9 user reviews. Item Reviewed: HÃY TRỞ VỀ - LM NGUYỄN SANG 9 out of 10 based on 10 ratings. 9 user reviews. Item Reviewed: KINH HÒA BÌNH - LM NGUYỄN SANG 9 out of 10 based on 10 ratings. 9 user reviews.